"My Family Will Struggle If I Cannot Walk Again"
Inderjeet Singh is a 33-year-old farmer from Punjab. A bad fall left him unable to even sit up. Now, he can stand with some help. 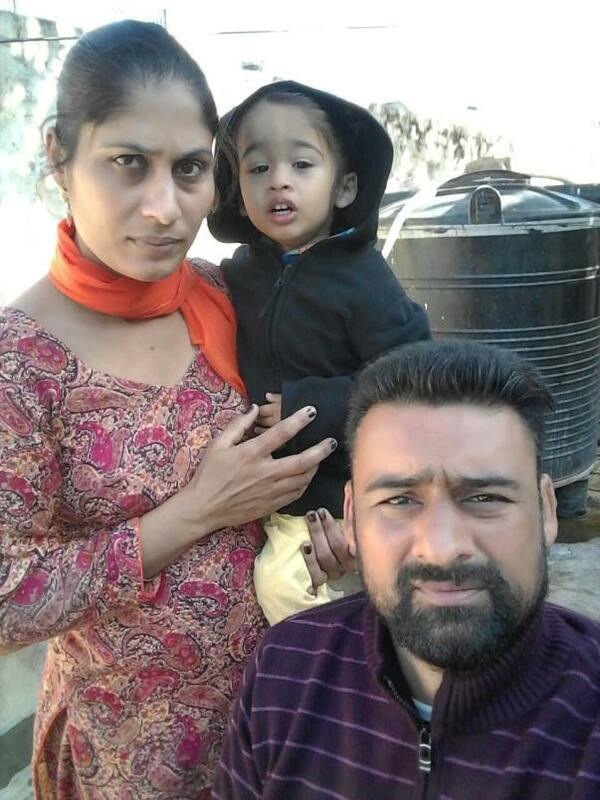 He urgently needs funds to complete his rehabilitation so he can begin walking again to provide for himself, his wife and his 2-year-old son Sahajvir. 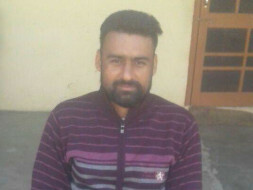 Inderjeet lives in a small village in Punjab called Dhodo Majra. His is one of the 38 families living in that village. In this remote haven, mishaps can turn deadly and Inderjeet's fall was a particularly bad one. On his way to the terrace, his foot slipped and he fell from the second floor to the ground. The impact immediately shattered two of his spinal discs. He was unable to move and in that state, he was taken to a hospital in Hoshiarpur and given immediate treatment. Once he recovered from his injuries – his family took him to Delhi in the hopes of getting his mobility back. They spent over 6 lakhs in Delhi over his treatment. The treatment bore fruit and Inderjeet showed good progress. “At first I needed to be taken in the big vehicle (ambulance) and I went from one place to another lying down. But after a few months of treatment, I was able to even stand with a little help. If I can go back, I'm sure I can even start walking. I have to, for my family,” Inderjeet says. Inderjeet worked as a farmer on leased land and made only Rs 5,000 per month on an average. The treatment has wiped out all his savings and assets. Inderjeet's father mortaged the family farm to raise the money for his treatment. Despite Inderjeet's good progress, they had to come back because the funds ran out. 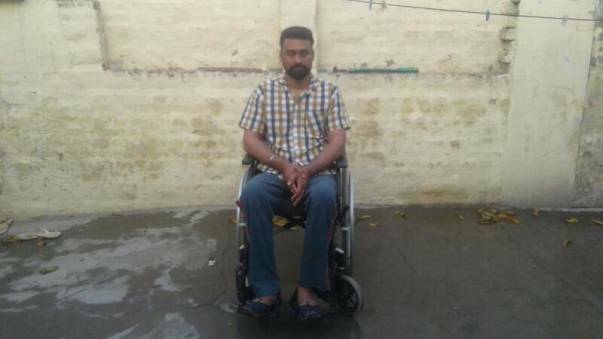 Inderjeet now gets around in the wheelchair and more than the lack of mobility, it is his family's future that haunts him. “People in the village know our financial situation and give us food. That is how we have been able to survive. I have not been able to go to work and my wife Devinder has to look after me and Sahajvir,” he says. Inderjeet has studied till class 12. He hopes that this will be enough to get him a desk job that will bring in some food for the family. But to even get there, he needs a bit more physiotherapy and guided exercises. 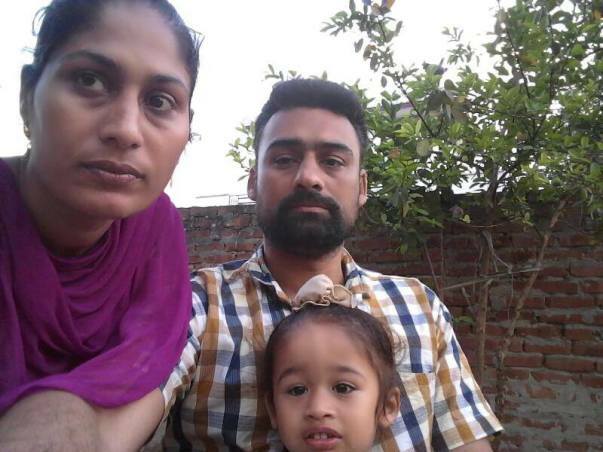 Inderjeet is determined to get back on his feet for the future of his wife and child. Not only that, he wants to give back to all the people who stood by him and given his family help and food in a time when he has no income. Be a part of this proud farmer's journey back to a life of dignity and productivity. 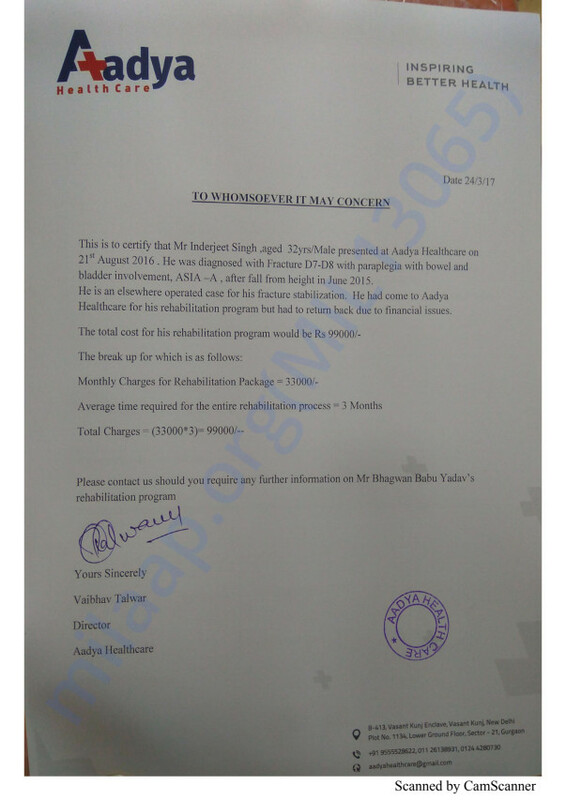 Contribute now and help Inderjeet regain mobility. Inderjeet is coming to Aadya on 04/07/17 for round two of his rehabilitation problem. during his previous visit we had worked hard on his balance and standing. Now we are planning to work on his ambulation and start his therapeutic walking.